Panel Data Baby Trail Farmer and Enumerator in Kandeu, Malawi. Photo by Erin Anders. Learning Lab researchers have been part of transdisciplinary research effort collecting on-farm panel (longitudinal) data from about 600 fields in Central Malawi since 2013. The research focuses on the potential of sustainable intensification technologies to improve rainfed smallholder farmers’ productivity, sustainability, and livelihoods. This unique project combines the benefits of panel data with the benefits of on-farm participatory action research. Panel data allows us to document farmer practice, quantify changes over time and understand the drivers of change while controlling for numerous (even unobservable) confounding factors. Meanwhile, participatory action research tends to offer a more realistic assessment of agronomic interventions than research on experimental stations and emphasizes the importance of farmer feedback and iterative, co-learning. The project’s experimental design utilizes mother-baby trials, a systematic design that samples variation across space and time by involving large numbers of farmers through baby trials (single replicates of sub-sets of technologies chosen by farmers) that are systematically linked to mother trials (where all technologies are evaluated in a replicated manner) (Snapp, 2002). With funding from USAID sponsorship, including the IITA-MSU project AfricaRISING, and the MSU Global Center for Food Systems Innovation (GCFSI), this project has been informed by agronomists, agroecologists, economists, geographers, social scientists, and soil scientists. In addition to complimenting the on-farm experimentation through documentation of farmer practice among intervention and ‘control’ communities, the panel data maintained by the Learning Lab is exceptional in its own right. These data combine farm management, crop nitrogen status, grain, weed ratings, yield and soil characteristics, which is unusual in farmer surveys, which is a unique opportunity to measure input productivity, evaluate extension services and develop recommendations, for a start. What makes the 2016 RISING data truly unique, however, is that these particular fields, which are geo-located with GPS coordinates, are the same fields sampled and same farmers interviewed since 2013. In other words, the Central-Malawi RISING data are field-level panel data on farm management, plant and soil characteristics. It would be difficult to overstate the potential contribution these data could make. The major added benefit is the ability to measure if and how farm management changes soil quality over time, for better or for worse, and directly attribute changes to specific farm management practices and performance. –Panel data investigates change over time, which is important in agricultural research since many new technologies or interventions take time to affect longer-term processes such as changes in the soil resource. Panel data is also important in agricultural research as climatic factors can vary widely by year, potentially obscuring longer-term trends. -The breadth of information collected in this panel allows researchers to identify and quantify causal linkages between behavior and changes in ecological conditions while minimizing the biases from other correlated factors over time. 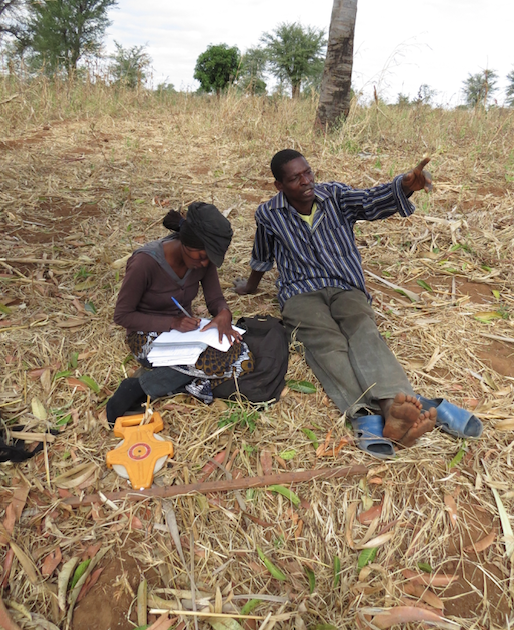 -On-farm research and data collection is usually more representative of agricultural technology or intervention performance for farmers, i.e. what can actually be expected when farmers implement, than research performed on experimental stations. -Trans- and multidisciplinary research is frequently more applicable to real-world challenges than reductionistic research efforts that isolate singular issues. This is particularly important in agricultural research focused on farmer behavior (e.g. adoption or utilization choices) and biophysical processes. -Both panel data and on-farm data collection can be expensive and time-consuming, with challenges at times to link different types of data (biophysical and socio-economic). -On-farm research can create a challenge with controlling various management decisions, styles, labor availability, etc. Burke, W.J., E. Frossard, S. Kabwe and T. S. Jayne (2016). 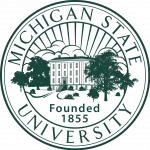 ‘Understanding Fertilizer Effectiveness and Adoption on Maize in Zamba’, Michigan State University International Development Working Paper No. 147, East Lansing, MI. Matsumoto, T., and T. Yamano (2013) ‘Optimal fertilizer use on maize production in East Africa’ in Yamano, T., Otsuka, K., Place, F. (eds. ), Emerging Development of Agriculture in East Africa: Markets, Soil and Innovations. Springer, New York, NY, pp. 117–132. Marenya, P. P., and C. B. Barrett (2009) ‘State-conditional fertilizer yield response on Western Kenyan Farms’, American Journal of Agricultural Economics, 91(4): 991–1006.